Pepper J. Productions is also associated with companies intimately involved with the film and pop music industry. Our associates are available to assist executive producers, artists and/or the independent labels with production evaluation, budget, personally designed career development and consulting, and photography. Pepper Jay, Music Producer, Director, Editor, c-stand, whatever it takes for a person to create a production company, a network (Actors Podcast Network) and content for clients. Pepper Jay has worn many hats: Actor, Bubby, Lawyer, Mentor, Mother, Performer, Music Producer, Public Speaker, Translator … Pepper Jay began her performance career at age 5. When she wasn’t appearing in television sitcoms, such as ‘The Real McCoys’, she was performing on stage in school, at local parks, or community theater. From ages of 5 to 15, Pepper also danced and played her accordion for charity events and fund-raisers. After graduating from San Diego State University, Pepper Jay obtained a lifetime teaching credential from the State of California and Pepper taught in the public schools for over a decade. Pepper taught several subjects for the Los Angeles Unified School District including drama, dance, health education, and physical education. During the 1970′s, Pepper taught at Hollywood High School, John Muir Junior High School, and, at Crenshaw High School, where Pepper was also in charge of coordinating and producing shows by the 100+ member drill team. Pepper Jay was the English as a Second Language Coordinator for a portion of the inner city on LA. Although Pepper Jay completed her pubic teaching career in 1983, she continues to this day her private performance teaching and coaching, specializing in acting and song performance skills. 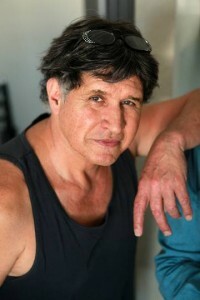 In 1990, Pepper Jay became John Michael Ferrari’s performance coach. In 1991, they partnered to create their entertainment company, Pepper Jay Productions LLC. PJP produces music, film, TV, internet shows, and live entertainment. PJP also produces and publishes the Actors Podcast Network, consisting of 15+ informative and entertaining shows on three channels: Actors Reporter, Actors Entertainment, and Actors Radio. From 1993 through 2008, Pepper Jay created and hosted the Working Actors Group, offering on camera and cold reading workshops to working actors. In 1998, John joined Pepper as a performance coach for singers and actors. Today, Pepper Jay is found on both sides of the camera. Pepper continues to be a producer of live music entertainment and media content and director of films (‘Hercules In Hollywood’), documentaries (‘Women Warriors’), and music videos (‘Run’). She coaches performance skills for actors, speakers, and singers. And, Pepper Jay (“SAG-AFTRA and AEA”) also remains a working actor (“Ride Hard Live Free” – 2018, “The Dankest Hour” – 2018, “The Call” – 2011, “Midlife” – 2011, “Brooklyn USA” – 2010, “Marked” -2007). 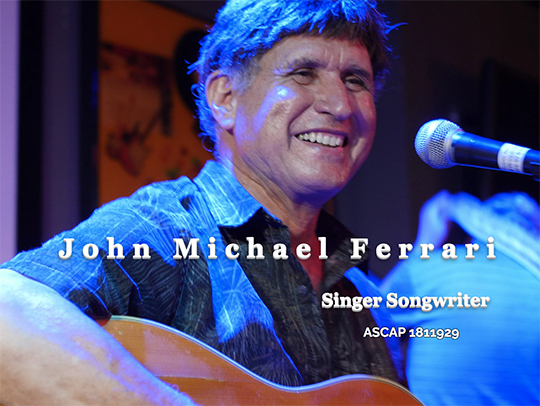 Album, “My Early Life,” by John Michael Ferrari, released some of the retro songs penned and arranged by John Michael Ferrari. New Single, “Sentimental Fool I Keep Dreaming,” set to be released August 1, 2018. John Michael Ferrari, Creative Producer, Singer, Songwriter, Author Music has been an integral part of John’s life! Writing it, singing it, and sharing it with audiences bi-coastally. This passion for performing and writing music was the foundation of John Michael Ferrari’s career as an entertainer, composer, and a performance coach. During the 70′s, John began writing musical jingles for radio commercials. As a songwriter, his “Dustoff”, penned by Ferrari while serving in the United States Army in Viet Nam, is a favorite among Veterans. John Michael Ferrari, cabaret performer, still entertains and “wows” music and dance lovers across the country as an individual artist and as lead in The John Michael Ferrari Band. A real class act, for 2 decades John and his band or orchestra “Ferrari & Friends” performed nostalgic tunes from the 30′s to the 90′s, soft rock, ballads, and show tunes. John shared his entertainment talents with many charity events and good causes, including: International Myeloma Foundation, The Thalians Ball, Our House, the Jonssen Cancer Center, Save Ballona Wetlands, and the City of Hope to name but a few. Although John Michael Ferrari wears many hats (entertainer, songwriter, photographer, director, SAG/AFTRA actor), he treasures most the time he spends coaching with his singer and actor students. He is just as proud of his students’ successes as he is of his own. As a photographer and director of photography, John has worked with many of the top models and up and coming filmmakers of today. His photography graces CD covers (i.e., “Minor Matters,” for Peoples Republic) and movie posters (i.e. “Redemption,” for Agenda Pictures). In Acting With Your Eyes, John Michael Ferrari shows you the technique of Eye Phrasing and the Magic Pull, which will enable you to do less on camera while retaining a strong, exciting performance. These simple and powerful techniques will make you a better and more confident on-camera actor.